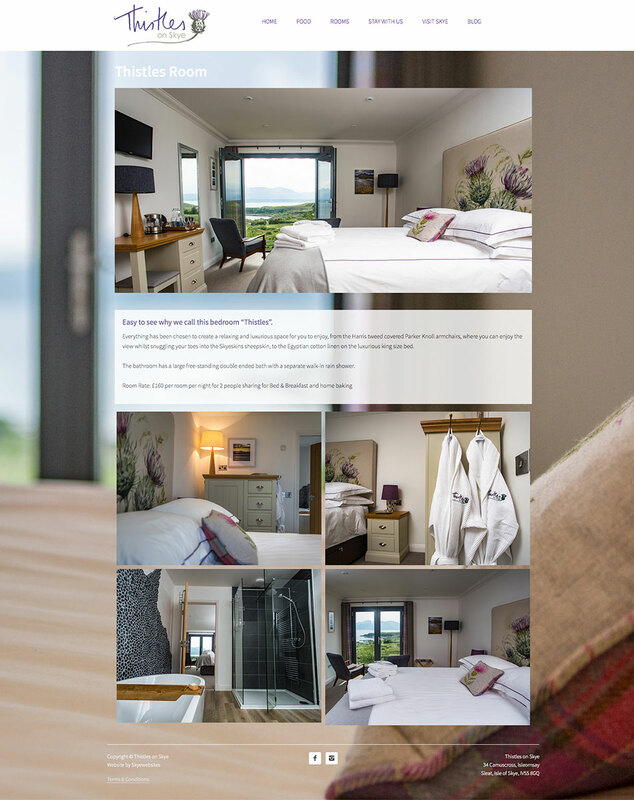 Thistles on Skye offers two beautifully designed en-suite bedrooms in Sleat, South Skye, with stunning views over the Sound of Sleat to Loch Hourn and the Knoydart peninsula. 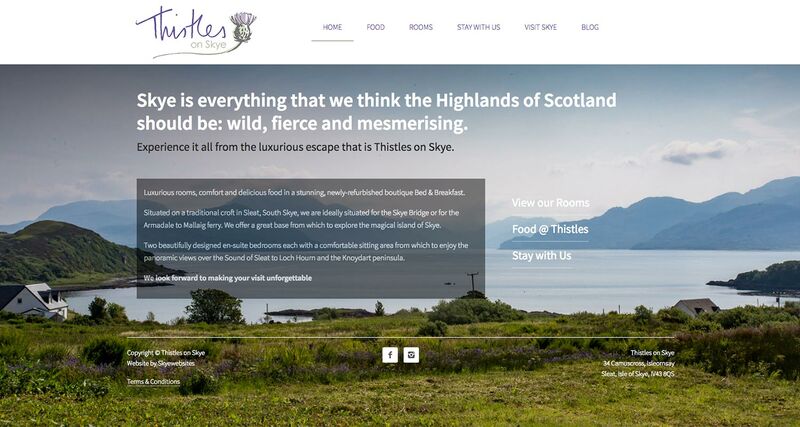 We designed a simple handwritten thistle logo to tie in with the property name and developed a visually appealing website, promoting the boutique and individual aspect of this new bed and breakfast business. 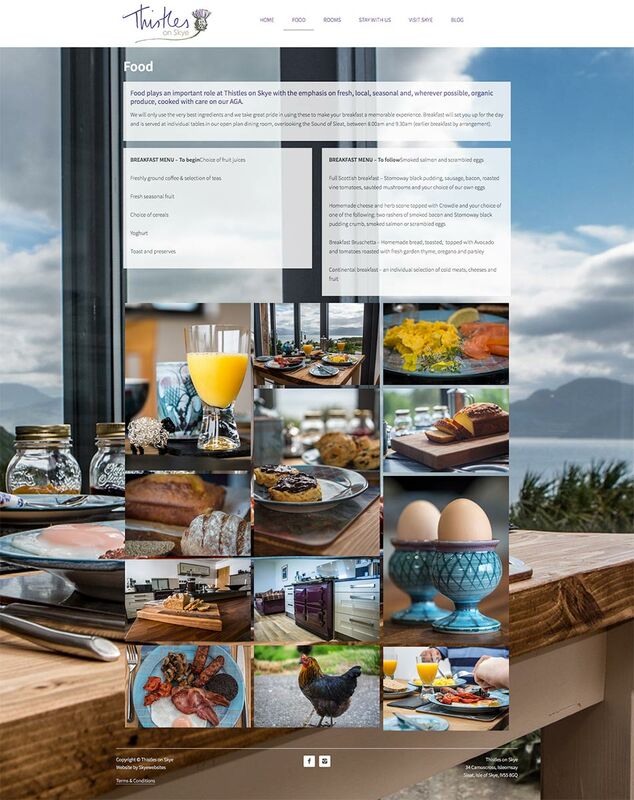 We used interior and exterior photography produced by a local photographer and made extensive use of visuals throughout the website, including using images for the background and in gallery displays.